I know we had snow falling from the skies a couple of days ago but geez, the weather is putting on quite a good show! If there is a couple things I can teach you, it's to keep your coats close as you can never predict the weather - demonstrated earlier this week! Draping is fun and makes you look expensive, even if you are wearing just jeans. Keep an eye for basic essentials, look around in Kmart or Target. You'll be surprised with how long some of these items last for. 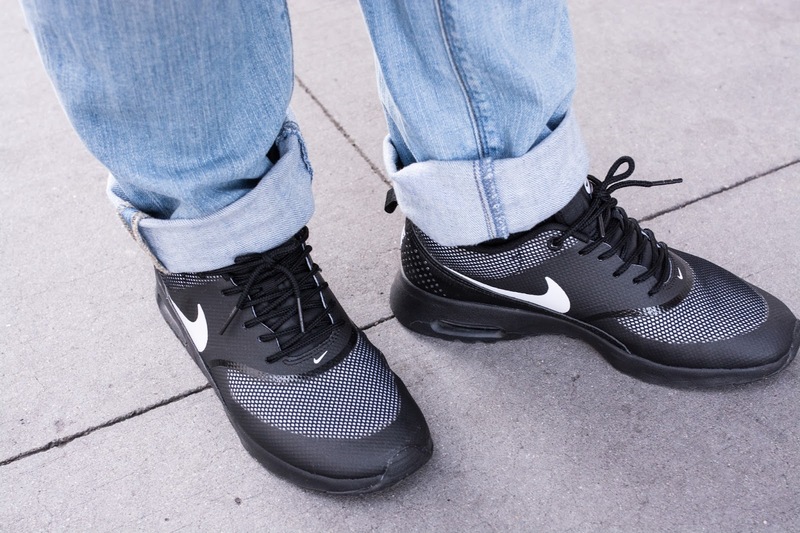 Soo in love with my Nike Theas - I practical live in them. I just love that when you walk in to Target or Kmart you can buy basic essentials. Like this, Target white roll-neck, skivvy I'm wearing bought for $15. I have worn this basic essential piece under blazers, tucked in to skirts and under jumpers. It has served purpose for warmth and for the layered look. The jacket was a steal from Seduce 40% wool for $159! Such great value for wool. I held out for it because it was end of season and I knew eventually it would come down further - you just have to be smart. Where do you get your essentials from?